Supporters, or their families, sometimes chose to help Hospice at Home Carlisle and North Lakeland by requesting that donations be made to the charity at their funeral, in lieu of flowers. We can provide Gift Aid envelopes or collection boxes if required. Each donation makes a real difference and if you would like more information please contact us on 01768 210719. Family support is available to anyone, regardless of whether Hospice at Home is, or was, involved in the care. 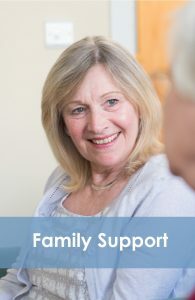 Perhaps the Family support service can help through a difficult time – it is never too late to contact us. If you would like to make a donation to remember a loved one and dedicate a light this Christmas. 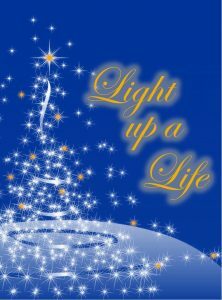 Please visit our Light up a Life Appeal page.